Bryce Callahan. Credit: Mike Dinovo, USA TODAY Sports. 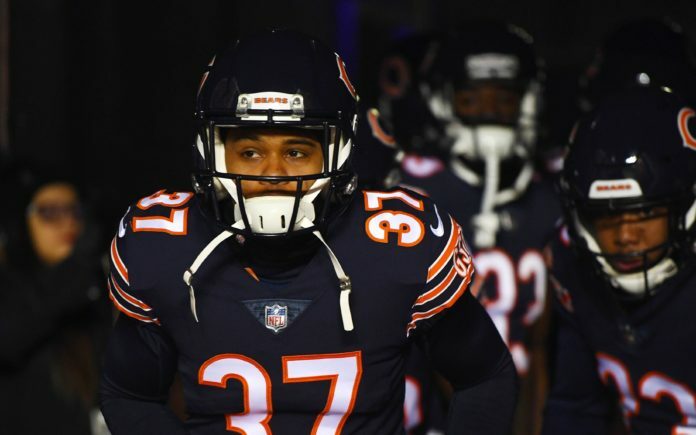 The Denver Broncos desperately need cornerbacks, and Bryce Callahan is a player they should be considering to fill that void. 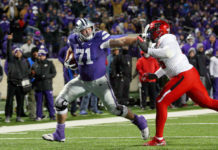 Callahan, who just completed his fourth year on the Injured Reserve, also enjoyed the best season of his career in 2018 before breaking his foot. He started 10 games for the Chicago Bears’ No. 1 defense last year — under Vic Fangio and Ed Donatell — and played in 13 games before that injury. At 27 years old, Callahan will bounce back from the injury and he’s on schedule to play the 2019 season; Denver should swoop in and pick him up. Last year, he was the seventh-best cornerback in the NFL according to Pro Football Focus, with an 81.4 grade overall. He’s also one of the site’s Top-10 most underrated free agents, allowing two Top-5 opposing passer ratings the last two years (74.3 and 78.9) while defending the slot. Yes, Chris Harris Jr. has been splitting his time between the outside and the slot, but with Callahan so well-versed at playing in the slot, Harris could devote more of his time outside. Then, the Broncos could focus on finding another outside cornerback. They need to decide whether or not to continue with Bradley Roby in that role or move onto someone else. But, back to Callahan; he’s played his entire NFL career under both Fangio, Denver’s new head coach, and Donatell, the new defensive coordinator. In fact, with Donatell as the DBs coach in Chicago, the two men likely know each other very well. Considering he’s only played in one scheme over the last four years, moving to Denver and continuing to play in that same defense would be an extremely easy transition for Callahan. In 13 games last year, Callahan recorded 45 combined tackles, six tackles for a loss, 13 pressures, five pass breakups and two interceptions. All of those numbers were career-highs for the young, formerly undrafted cornerback who seems to be just hitting his prime. And, he was part of not only the best defense in the league last year, but the best secondary as well. The Broncos came in at an embarrassingly low 24th-best. At 5’9″ and 188 pounds, he’s somewhat smallish, meaning he’ll likely be limited to defending the slot if Denver decides to go after him. However, his ability to put pressure on quarterbacks — with an NFL-high 13 QB pressures — gives his game a bit of versatility, which is exciting. With Callahan inside, that would mean signing another outside cornerback to compliment Harris. One possibility is Steven Nelson of the Kansas City Chiefs. His 73.1 grade in 2018 was his best, and while it’s far below an elite grade, he’s been improving steadily every year. He only allowed 53.1 percent of passes targeted at him to be completed, with a mere 76.8 opposing passer rating. At 5’11” Nelson possesses a bit more size needed to defend the bigger and stronger receivers on the outside, and he’s performed well in a man-heavy scheme. However, like Callahan, he’s in his contract year, meaning signing both of them could be too high a price tag. Others out there who could be possibilities in the free agent market — though also likely expensive — are Ronald Darby, formerly of the Eagles and Kareem Jackson of the Texans. However, each possess some down sides. Darby tore his ACL in November and is busy recovering from that, although he is only 25 and should be able to bounce back. Jackson just enjoyed a career year, but at 31, is already over the hill in terms of cornerback play. 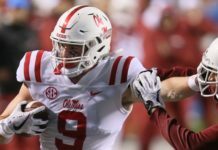 So, Denver could look to the draft to help compliment Harris and Callahan. If the Broncos go that route, Byron Murphy is an option. CBS is mocking him to Denver at No. 10 overall, and then they also have the Broncos coming back in for Drew Lock at No. 32. Murphy enjoyed seven interceptions in his two years with the Washington Huskies, but one of his downsides is leaving for the NFL as only a redshirt sophomore. He’s very good in zone coverage, and he loves to gamble, which when it pays off, turns into game-changing interceptions. When he misses, though, he gives up massive plays. There’s no doubting how badly Denver needs DBs. Harris is the only certain starter in 2019. The team will have to make a decision on Roby; will he be present and future starter at outside cornerback, or will they move on? 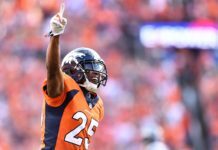 If they decide to not re-sign the former first-round pick, the Broncos will likely look toward free agency, which will be full of instant impact players. And, even if they sign someone in free agency — like Callahan — look for Denver to draft one or even two more corners in April.